This photograph by Phil Coombs is just one of many included in a series of BBC News articles remembering the twentieth anniversary of Chernobyl. The BBC News website revisited Chernobyl recently, and has published a series of articles and pictures that capture the imagination and fill in more details of the tragic nuclear accident that took place on April 26 1986. There are many articles to browse through and for those who have not read my earlier posts on Chernobyl, they provide a good summation of the the incident, the subsequent efforts to cover it up, and the various estimates of genetic damage that resulted from the incident. It is interesting to see the amount of wildlife that has flourished in the so-called Dead Zone even in the presence of high radiation levels. It is telling that animals brought into the zone from outside do not do well. I am sure that there is more to be discovered about how plants and animals have adapted to the radiation. After all, it will not diminish for hundreds of years. There will be ample time for study…and for reflection. 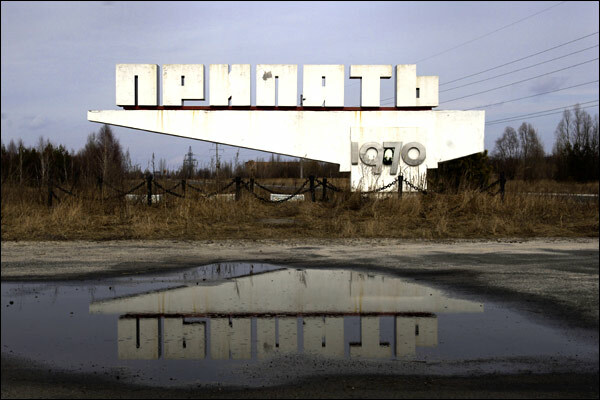 If you want a quick fix, check out these links for more of Phil Coombs photos on Pripyat: Chernobyl’s lost city. I’m making a trip to Ukraine this summer for vacation, if you believe that or not. People ask if I will go and see Chernobyl. Believe it or not, Chernobyl tourist trips are becoming a money maker for Ukraine. I do not know if I will go to see this area of Ukraine. I do not need to be reminded of a disaster, a nuclear one too (we may have a new one coming very soon with the Iran situation). Just like watching the planes hit the twin towers 1000 times on the news, something like this can make an average citizen crazy. I am also very uneasy that the profits generated from these ‘tourist packages’ are just to get someone rich. If I find out that profits generated from one of these ‘tourist trips’ go to families affected by this tragedy (or something similiar) I may change my mind. 20 years ago the soviets started a nuclear “experiment” check out the results.